An emotional Caleb ‘Sweethands’ Plant 18-0 (6) broke down in tears after his exciting 12-round world title winning effort against now former IBF super middleweight titleholder Jose ‘Bolivita’ Uzcategui 28-3 (23) at the Microsoft Theater in Los Angeles, California on Sunday night. The 26-year-old from Ashland City just outside Nashville, Tennessee dedicated his victory to his daughter Alia who was born with a brain condition that tragically claimed her life four years ago at just 19 months old. Plant got off to a flyer, dropping the reigning titleholder twice in the opening four rounds to bank an early lead on the official scorecards. Uzcategui reset in the middle rounds and finished the stronger of the two, desperately chasing the knockout in the championship rounds. But the fight-ending punch simply wouldn’t come hard-charging Uzcategui with Plant awarded the victory by scores of 116-110, 116-110 and 115-111. “I knew I caught him clean during those knockdowns, but I knew he wasn’t all the way out so I took my time. I stayed relaxed, I stuck to the game plan and got it done just like I said I would,” Plant said, who was cut over his right eye from an accidental head-clash in the fourth frame. The 28-year-old Tijuana-based Venezuelan insisted he was never hurt and is calling for a rematch. “I went down because I was off balance, but I wasn’t hurt,” said Uzcategui, who reportedly earned $280,000 to Plant’s $150,000. “He started to get tired around the sixth round, which was the plan. 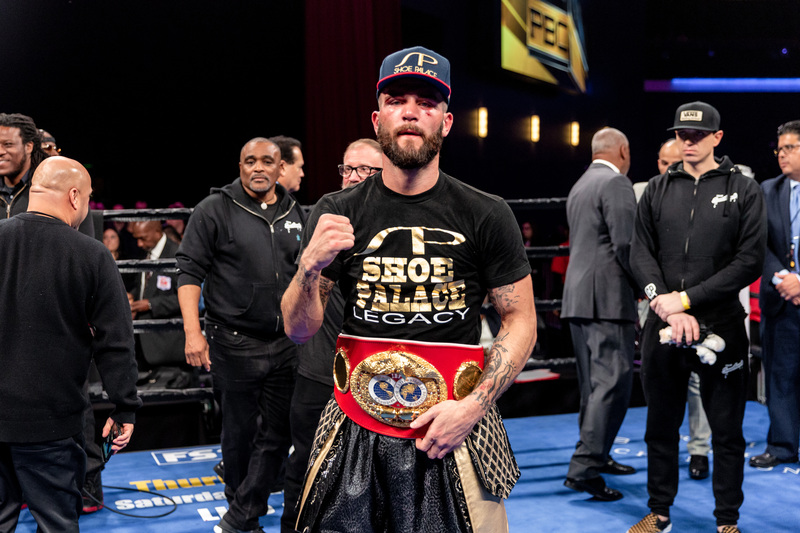 Plant, who fights out of Henderson, Nevada, said he has no other future plans other than soaking up the feeling of being champion. “This is overwhelming. I am a kid who came from nothing. I believed in myself and now I’ve been crowned king,” he said.